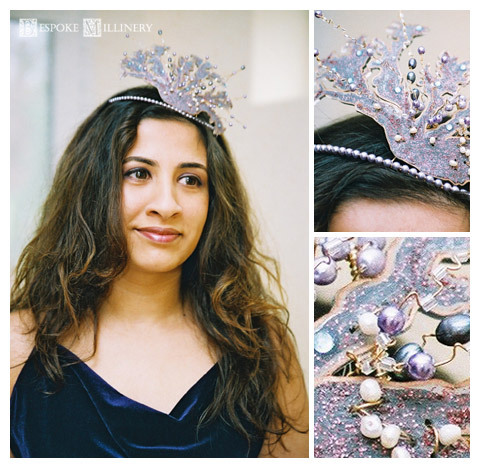 Bespoke Millinery offers hair jewels in all different shapes and themes. Coral is an example of just that. This jewel is in rose quartz with a hint of ruby, strands of silver glass beads and freshwater seed pearls. So if you have a theme in mind, tell Virginie during your consultation.